The only Haitian-American Senator in Florida, Daphné Campbell who has been Senator of District 38 (North-East of Miami-Dade) for 8 years, lost her seat during the elections held in Florida on August 28. She lost to former Attorney Jason Pizzo, who won 54.2% of the votes. On Tuesday, August 28, 2018, Haitian-American Daphné Campbell, a Democratic member of the Florida Senate District 38 of the North-East of Miami-Dade, lost her 8 year old seat to former Attorney Jason Pizzo. Pizzo is a wealthy former prosecutor, received 54.2% of the votes. Pizzo walked away easily with nearly a 9% victory margin. Northeast Miami-Dade district includes the largest Haitian population in the country which extends west from the Beach to the west of I-95, and includes cities like Aventura, Miami Beach, North Miami, and portions of the City of Miami. Pizzo spent more than a million dollars of his own money on his election campaign emphasizing public safety, climate change and a living wage for workers. 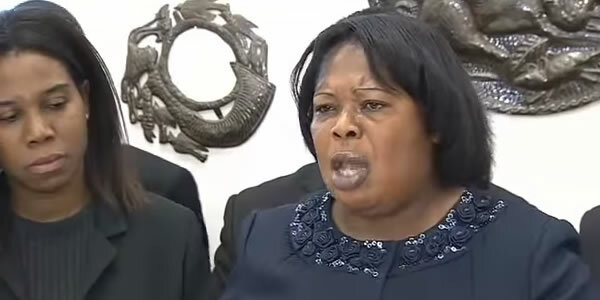 Daphne Campbell, a Florida politician, saw much support for her recent call to international businesses and tourists to boycott the Bahamas until they have repealed their new, highly controversial law that aims, as she describes it, to discriminate against Haitian children. Her latest such supporter is president of the Haitian Bahamian community Jetta Baptiste, who admitted to being in agreement with the proposed boycott one thousand percent. While voicing her support for the boycott and the one-week ultimatum issued by the politician, Baptiste also spoke about the frustration of the community which is once again being cruelly handled by the Bahamas, as well as others of Haiti's neighbors. Baptiste argues that Haitians living in the Bahamas are being tugged into the political game of the government of the Bahamas, in which illegal migration is a huge topic. She puts forward that Florida will not long be the only State that will join in the boycott as Campbell, a Democratic Member of the House of Representatives for Florida, has written to the U.S. government about the situation, and she also has the backing of elected Cuban officials who have appealed to Florida's Governor Rick Scott and President Barack Obama.